Sarah Downing, an art conservator hiding in witness protection, identifies a lost masterpiece by Caravaggio. History says it burned in WWII Berlin but here it is, on her easel. 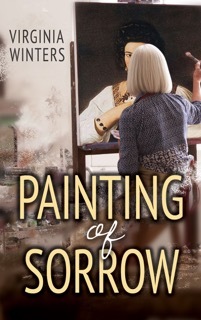 Soon she is fighting to save the painting and her own life. Who has betrayed Sarah—an agent, a friend? Whoever it was, her ex-husband Jimmy is standing on her street, outside her house, waiting. What Sarah does next sends her from Kingston to Italy to rural Ontario in her desperate attempt to survive, save the Caravaggio and rebuild her life with a new love. This one is heading straight for my TBR pile!